TUESDAY, AUGUST 21ST, 2018 AT 2:25PM. In Northwest Colorado, our clear blue skies have had a distinct smoky haze most of the summer. Every year, fire danger is part of living in the west. Dry years bring obvious increased risk and attention to the potential for problems that are often too close to home. In many cases, people tend to think of forestry management as a topic reserved for those that work for the government and deal with our public lands. While they clearly have a critical role in the stewardship of our resources, so do private land owners. Many ranch and rural property owners are comfortable with management topics involving grazing or spraying weeds, but developing a plan to properly manage the trees and other woody plant species found on the property is important. Fire prevention is only one aspect of proper management. Land stewards must look at the forested portions of the property as a critical and functional part of a healthy ecosystem that impacts the rest of the property. FRIDAY, FEBRUARY 9TH, 2018 AT 2:25PM. The landscape involving water continues to change both physically and figuratively. In the world of ranching and living in a rural setting, water issues shape the management and stewardship of land as well as the capability to reside in a rural location. An important topic at the forefront of conversation involving the world of water includes the State of Colorado’s position on issuing well permits. This is a summary of the letter released on February 1, 2018 by the Division of Water Resources. Can I get a well permit for my land? The State of Colorado Division of Water Resources continues to work on a plan for issuing well permits, and their position evolves over time as areas of the state grow in population creating pressure within given geographical regions. The basis for the State’s position is based off of historic water rights established, in part, on the date water was first put to beneficial use. The plan is then formulated by taking into account all water uses from a given stream system that impacts the senior water rights. TUESDAY, NOVEMBER 21ST, 2017 AT 9:51AM. Many landowners and land investors utilize tools to reduce property tax expenses, lower the burden of taxation when transferring land assets through inheritance and estate planning, and to preserve the resources and characteristics of the land over time. One widely used method to help achieve these goals is through the use of conservation easements. A conservation easement transfers the development rights of a given parcel of land from a willing landowner to a qualified land trust entity. These agreements are permanent, run with the land, can limit use, and protect the land from development in perpetuity. The land itself can still be sold, but the deed restriction remains in place. Since the development rights have value, can you be compensated for transferring those rights to another entity? The short answer is Yes! Often, the development rights of a given parcel of land are donated to the land trust and the land owner can receive a tax deductible charitable donation for the value of those development rights. In some cases, the land owner can sell the development rights, or a portion there of, if the land’s conservation value is a priority to the land trust entity. 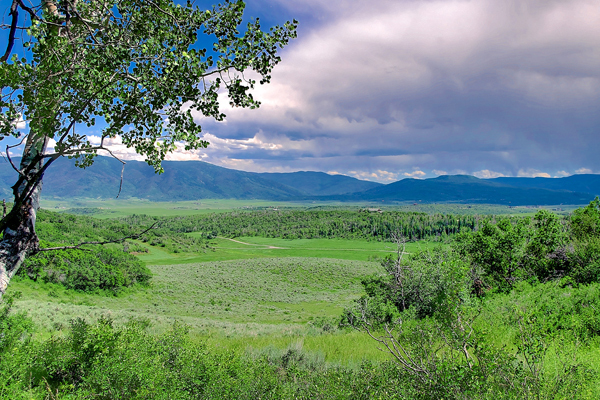 While many land trust entities have their own methods to purchase development rights, did you know that Routt County has a Purchase of Development Rights (PDR) Program? TUESDAY, JULY 25TH, 2017 AT 4:44PM. A Land Preservation Subdivision (LPS) can be a useful tool for those evaluating investment strategies related to large parcels of land. Counties throughout the West may have programs under a different title, but many offer a similar strategy seen as a win-win for both the public and the land owner. In Routt County, zoning allows for land zoned for Agriculture and Forestry to be divided into tracts of greater than 35 acres without petitioning the Planning Commission. To keep larger parcels of contiguous land from being divided and creating “sprawl”, wildlife habitat concerns, broken vistas, and reduced agricultural production, the LPS allows a land owner to create a “Remainder Parcel” of undeveloped land in exchange for “Bonus Buildable Lots”. THURSDAY, JUNE 22ND, 2017 AT 2:23PM. Brian Ripley Steamboat Springs has certainly evolved and grown from a western cow town to a resort community with a steady flow of tourists here to enjoy all that is offered. While the Yampa Valley strives to maintain its roots, and preserve a deep appreciation for agriculture, the growth has pushed the bigger ranch properties a bit farther from downtown. 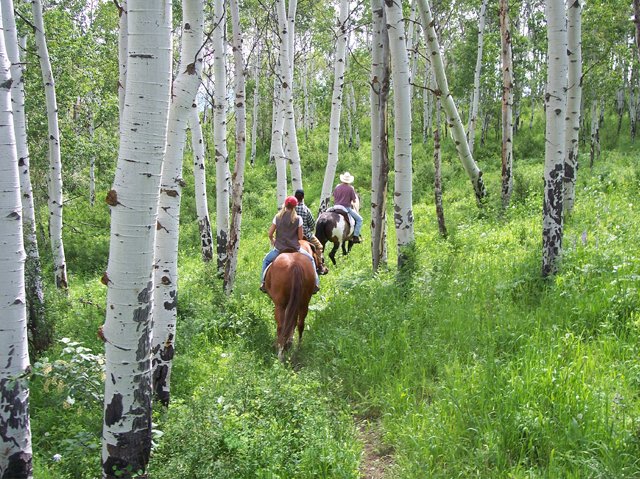 Tow Creek Ranch is a hidden gem that is a bit of an exception. Tow Creek Ranch is 2,160 acres and sits right off of Highway 40 just 13 miles from downtown. The property, as its name implies, follows Tow Creek as it flows right down the middle of the ranch. The topography changes from the creek bottom to a variety of small valleys offering protection and habitat for a wide range of wildlife species, especially elk. As I drove the two-track ranch roads around the more rugged portions of the property with the ranch owner, I could see where stewardship of the natural resources was a priority. Changes were made to prohibit grazing along the water ways and effort was made to carefully adopt strategic forestry practices. A small section of the ranch had been logged in the past but elk habitat was always a consideration. Timber was removed in relatively small sections leaving critical stands to provide the habitat the elk need for bedding areas. While aspen groves, meadows, and watering holes draw elk periodically, it is the stands of evergreens that create an environment where elk feel safe and thus hold elk for longer periods of time. Tow Creek Ranch has prioritized the management of healthy elk habitat in its management strategy and I was witness to the consistent sign of elk all over the property. Our take on Son Hi Ranch in Phippsburg. TUESDAY, JUNE 6TH, 2017 AT 3:29PM. 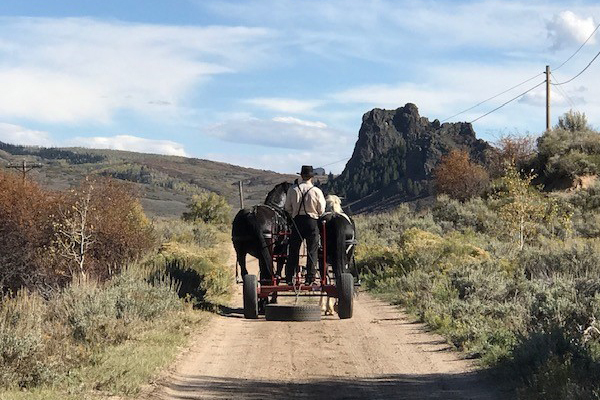 Brian Ripley A tour of the Son Hi Ranch nestled up against the Flat Tops Wilderness west of Phippsburg leaves the wildlife enthusiast or hunter drooling. The current headquarters of the ranch sits upon a mesa with irrigated hay meadows stretching out toward the valley below while timber covered hills rise toward the neighboring wilderness area. It is the backside of the ranch that teams with elk, deer, bear, grouse and a variety of birds, the occasional moose, and even big horn sheep. We pulled up next to a seasonal ranch employee to say hello when we saw the expression on his face. Normally a rather subdued individual, the employee’s eyes were wide as he excitedly asked, “Did you see that ram? He was huge! His horns curled all the way around!” He had just come upon a ram Rocky Mountain Bighorn Sheep carelessly grazing just off a stand of timber. He meandered off in no hurry but before I could catch a glimpse.